In a world driven by fans whose loyalties keep changing with every new face who hits the silver screen, the death of Telugu film actor Mikkileneni Radha Krishna, popularly known as Mikkilineni at the ripe old age of 96 was hardly noticed by Tollywood. Mikkilineni, who had acted in over 300 films where he essayed important roles in mythological films, besides portrayed himself as a screen villain, died in the early morning hours of Tuesday in Vijayawada. He had been ailing for some time, his wife said. Apart from his wife, the actor is survived by a son and two daughters. A compatriot of Telugu filmdom’s most charismatic and respected artistes NT Rama Rao and Akkineni Nageshwar Rao, Mikkilineni’s portrayal of characters like Duryodhan, Bheem and Duhshashaa in mythological movies endeared him to the masses. 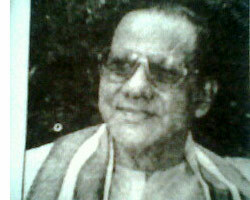 His more memorable roles were essayed in films like Maya Bazar and Gundamma Kadha. The veteran actor had his film career in 1949 by acting in 'Deekha' and his association with the industry continued till his last film, Bairava Dweepam. His films which did well at the box office are Tenali Rama Krishna (1956), Maya Bazar (1957), Appu Chesi Pappu Kudu (1957), Sitarama Kalyanam (1961), Jagadekaveer Uni Kadha (1961), Gundamma Kadha (1962), Gulebhakavali Kadha (1962), Paruvu Prathiksta (1963), Bandipotu (1963), Nartanasela (1963), Ramudu Bimudu (1964) and Pandava Vanavasam (1965). The funeral too place late today evening.